The second session of the 12th Hubei Provincial Committee of the Chinese People's Political Consultative Conference (CPPCC) concluded in Wuhan, the province’s capital city, on January 17, 2019. Xu Liquan, Chairman of the CPPCC Hubei Provincial Committee, chaired the closing conference. 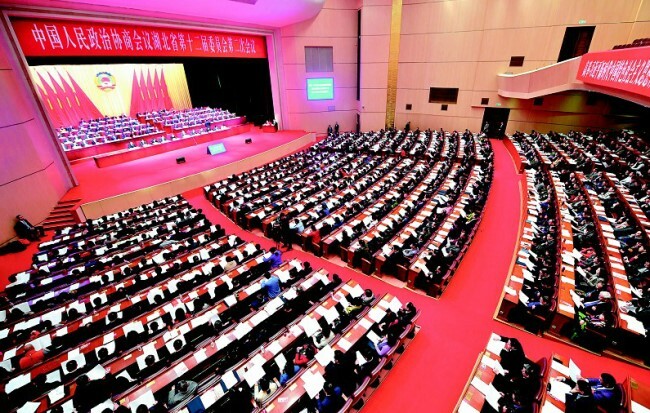 The conference passed the resolution relating to the work report of the Standing Committee of the 12th CPPCC Hubei Provincial Committee, the report on the proposals submitted by the members of the CPPCC Hubei Provincial Committee and the political decisions taken during this session.